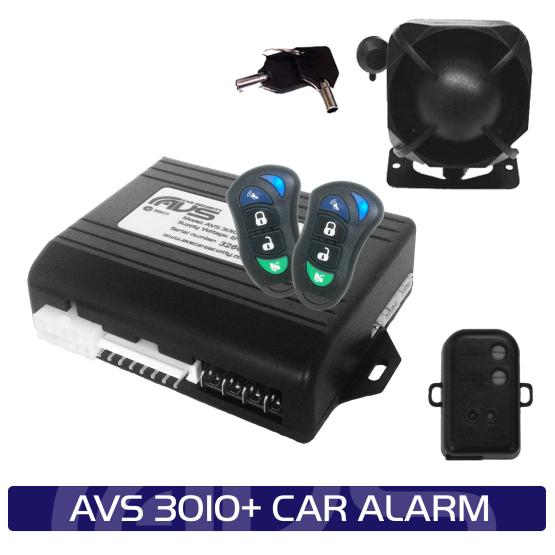 View cart “AVS A4 Car Alarm 4 Stars Fitted” has been added to your cart. The A5 is a great Five Star car alarm packed full of good features and all at an affordable price. 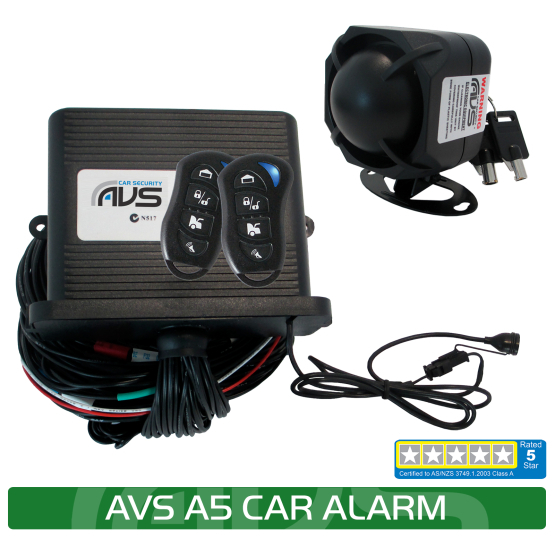 The AVS A5 is a great Five Star car alarm packed full of good features and all at an affordable price. And if you have a turbo car, like many kiwis do, then the AVS A5 includes seamless turbo timer integration. You can also use either the waterproof AVS remotes, or your car’s factory remote to operate the alarm. The AVS A5 alarm includes two immobiliser circuits. Starter motor and ignition system or fuel pump immobiliser cuts are made so the car cannot be started unless it is disarmed via the remote. The system will immobilise 40 seconds after the ignition is turned off or when the alarm is armed. Be the first to review “AVS A5 Car Alarm ***** Stars Fitted” Click here to cancel reply.